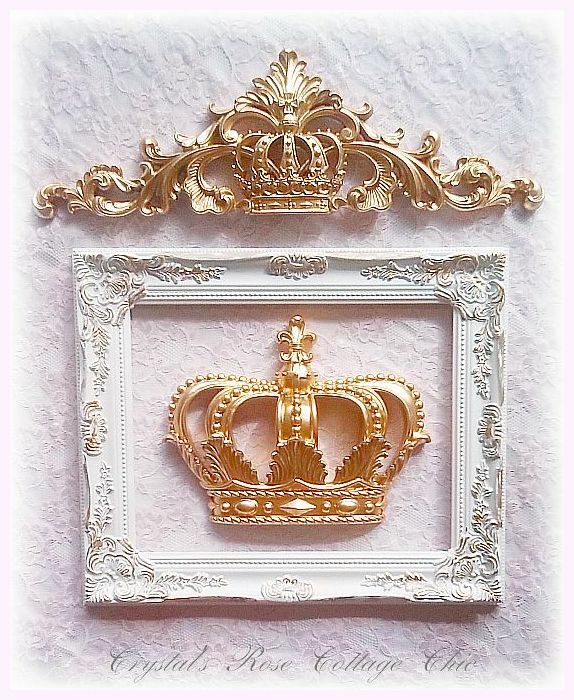 Add a stunning touch of instant royalty to your wall with this lovely, three piece set. 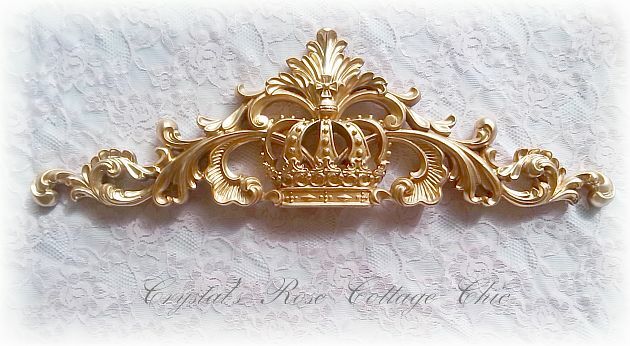 It includes a Fleur de Lis wall crown, ornate 11" x 14" frame and a stunning crown pediment for the crowning touch above your frame! Crown and pediment are shown in Metallic Gold in the Full Cover finish. The frame is White distressed in Metallic Gold. 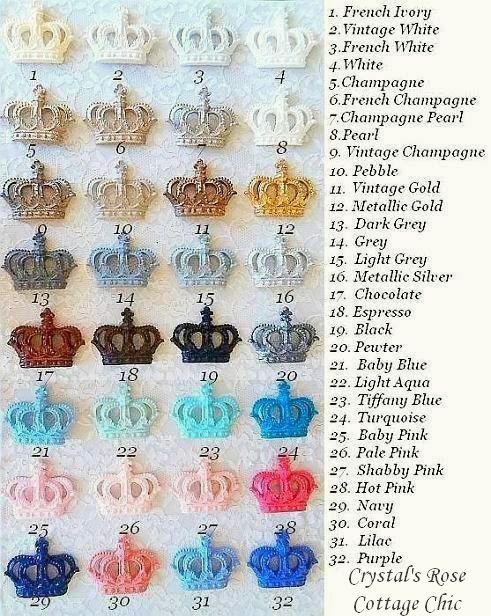 Please select your paint color and finish from menus below.